The Bella Rosa Medspa has been a leader in providing cosmetic treatments and skin care options to residents around Houston, TX for over three years. Bella Rosa combines some of the latest in cosmetic technology with a deluxe spa facility to exceed consumer expectations. The Bella Rosa Medspa offers a free consultation to every new patient during which he or she will meet with a specialist for a skin evaluation. Here, a professional will work with you, perform a skin analysis, and determine which treatment is right for you. 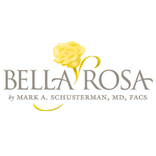 Bella Rosa offers the latest treatments including Juvederm, Sculptra, Botox, and Restylane to residents of the Houston area. Physicians at Bella Rosa make sure to exercise care and precision in administering anti-aging, lip enhancement, and vein removal procedures. Bella Rosa also specializes in laser skin treatments such as fractional laser resurfacing, IPL Photofacial, and laser hair removal. These services are preformed safely and professionally in a serious of sessions that leave patients free of unwanted wrinkles, age spots, body/facial hair, tattoos, and facial veins. For more information about the number of treatments offered at the Bella Rosa Medspa in Houston, TX, or to schedule your free consultation, contact us today!